Divine Lee Just Got Engaged! Headlines, hot news, and conversation starters on September 12, 2016! 1 Divine Lee just got engaged to her boyfriend of one year, Blake Go! 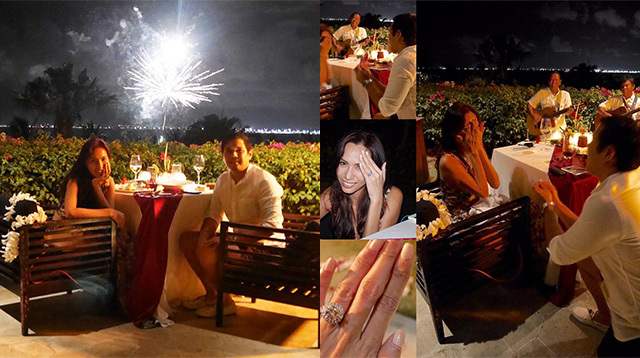 Over the weekend, the couple was in Bali, Indonesia to celebrate a friend's wedding, and that's when Blake popped the question—complete with a candlelit dinner and fireworks! Although it's only been a little over a year, when you know, you know. Congratulations, lovebirds! 2 It Girl Isabelle Daza married her long-term beau Adrien Semblat in sunny Tuscany last Saturday! Here's a sneak peek of their stunning Italian-inspired wedding! 3 Is it unofficially wedding season? Because Pitch Perfect stars Anna Camp and Skylar Astin just tied the knot! Aca-awesome! Yes, that's co-star and bridesmaid Brittany Snow by Anna's side! Bellas for life! 4 The music gods have heard us and all those post-Hiddleswift memes are coming true! Gigi Hadid just confirmed that Taylor Swift is making music again. Gigi recently launched a line with Tommy Hilfiger, and in true BFF fashion, Tay went and cheered for our girl! The sentiment wasn't lost on Gigi: "[Taylor is] obviously such a great friend. And you know she is starting to go back to work in the studio again, and really made time to be here for me, and I am so grateful to that."